The best location in the world won't help your business if you can't afford to locate there. 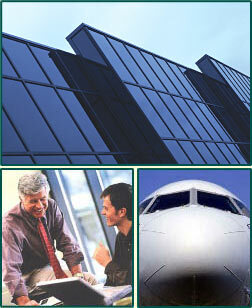 At New York International Plaza, our office rental rates are in excess of 50% below comparable space in New York City. Property taxes are 45% less than proximate metropolitan areas. Utility costs are the lowest in the State, wage rates are competitive, and housing costs are 40% lower. We are located in the Empire Zone offering substantial tax incentives for most businesses. New York International Plaza is located at the intersection of the NYS Thruway and I-84 which means direct east-west and north-south access. This crossroad places major markets, including New York City, Montreal, Boston, Hartford, and Buffalo, all within a few hours of your front door. You’ll also have easy access to train service since we’re close to both the Metro North Hudson River Line and the N.J. Transit Port Jervis line. Imagine the time you’ll be able to save and the stress you’ll be able to eliminate having a major international airport right next door. 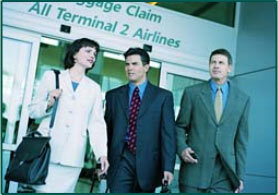 Stewart New York International Airport has several major carriers providing daily passenger service to a growing number of major domestic and transatlantic cities. The airport also has the new 150-acre South Cargo terminal that houses Emery Express' second largest U.S. distribution hub, and the new GE Worldwide Corporate Air Facility. Access to the fastest, most convenient communications infrastructure will mean to businesses of the future what easy access to interstate roads meant in previous decades. At New York International Plaza, we've not only insured that you'll be close to broadband access points, we've provided our very own "on ramp" with an on-site fiber optic backbone entrance (POP) integrated to both national and international pipeline networks. New York International Plaza has placed on-site satellite training and educational facilities with Pace University bringing numerous opportunities for continuing education, co-op and intern programs and company specific training. New York International Plaza has been designed to incorporate lodging, retail and restaurants which will give you, your employees and visitors to your office the convenience of staying right on campus to stay, shop or eat. We have also built into the master plan the ability to put a Day Care facility right on campus which will considerably reduce stress for you employees and allow them to focus more on work. Another key consideration facing employees is access to fitness facilities. At New York International Plaza, we have taken steps to provide this service on site and have dedicated a freestanding facility exclusively for this specialized service. New York International Plaza lies within a designated Economic Development Zone (EDZ) by the State of New York. This designation allows tenants of the Plaza access to a host of state tax credits and benefits, representing significant savings in the operations of your business. These include Wage and Tax Credits, Sales Tax Refund, Zone Capital Credits and Zone Loan & Equity Capital. New York International Plaza is designated as a Foreign Trade Zone(FTZ) by the U.S Department of Commerce. This gives businesses who engage in foreign trade significant savings such as tax deferral, and lower tariffs on such goods.